Are You Suffering From Presbyopia? Home » What's New » Are You Suffering From Presbyopia? Frequently, around age 40, folks find that they’re beginning to have a difficult time reading. Being able to see clearly things that are up close is an age related function of your vision which becomes weaker as you become older. Here’s why: With age, the lens of your eye is likely to become less flexible, decreasing your ability to focus on close objects. That, in a nutshell, is presbyopia. Those with untreated presbyopia tend to hold books, magazines, newspapers, and menus at arm’s length to be able to focus properly. Performing other close-range tasks, for example, sewing or handwriting, can also result in eyestrain. When it comes to correcting presbyopia, you have a number of solutions, which take your eyewear preferences into account. One of the most popular choices is reading glasses, but these are mostly useful for contact lens wearers or for people who don’t wear glasses for correcting distance vision. Even though these are easy to find at pharmacies or drugstores, it’s best not to purchase them until you have been examined by your optometrist. A lot of people aren’t aware that reading glasses may be useful for short periods of time but they can eventually cause fatigue when people wear them for a long time. A more beneficial alternative to regular reading glasses are custom made ones. They can address additional eye issues such as fix astigmatism, accommodate prescriptions that vary between the two eyes, and on top of that, the optic centers of the lenses can be customized to fit the person who wears them. The reading distance is another detail that can be designed to meet your specific needs. If you would rather not have to use more than one pair of glasses, consider bifocal or multi-focal corrective lenses, or PALs (progressive addition lenses), which a lot of people find very beneficial. These are glasses that have multiple points of focus; the bottom portion helps you see nearby objects. 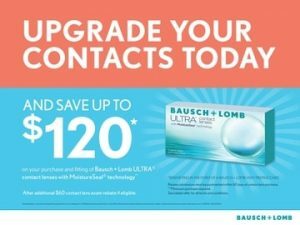 If you already wear contacts, it’s recommended to speak to your eye care professional to discuss multifocal contact lenses. There’s also a treatment technique called monovision. Monovision is when you wear one contact lens to correct near sightedness in one eye and another to correct far sightedness in the other eye. Since your eyesight changes as time goes on, you can anticipate adjusting your prescription periodically. Presbyopia still affects older individuals even after refractive surgery, so it is it’s worthwhile to take the time to find out about all the options before making decisions about your vision care. Have to chat with your eye doctor for a helpful view on the matter. Sight changes as you reach middle age and we think it’s important that you deal with your changing eyesight in the way that’s best for you.